The people of Vancouver, be they minors, adults, or seniors, finally have a live music venue they can all enjoy together. 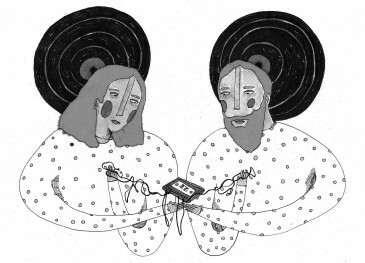 The Safe Amplification Site Society (a.k.a. SASS or Safe Amp) began talks last fall to lease the former Astorino’s, a ballroom and multi-purpose event space at the corner of Commercial Drive and Venables, to use it as a legal all-ages venue. Discorder joined one of the society’s directors, Sean Travis Ramsay, for coffee in the new neighbourhood to chat about the exciting opportunity and Safe Amp’s road to get here. 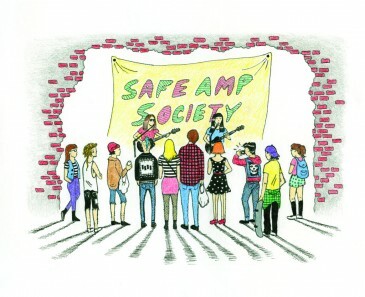 Safe Amp is a local non-profit organization founded to establish a permanent, legal, affordable, and sustainable all-ages venue in Vancouver, open to all genres of music, with the core values of community, inclusivity, and positivity. Since the society’s inception, it has hosted events, like S.P.A.C.E. Camp, at different venues around the city that match all but two of these descriptions: permanent and in turn, sustainable. 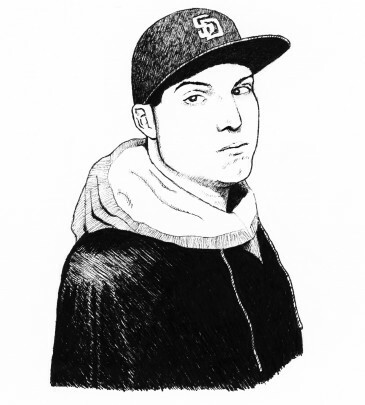 However, past events did both raised money and spread awareness of the gaping cultural void in Vancouver’s all-ages music and arts scene. After nearly four years, the society found themselves in a financial position where leasing became feasible; Astorino’s marks the first time in the group’s history that they could make this dream a reality. The former Astorino’s was a community hub in the Commercial Drive area for almost thirty years. 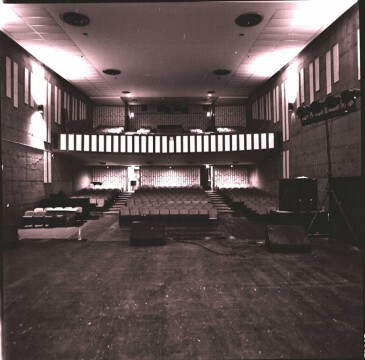 Owned and operated by brothers Leo and Tony Astorino, the space hosted everything from weddings, baptisms, and bingo nights. When faced with a number of remodelling needs, the brothers opted for retirement and sold the business to a development company. A step or two later, Safe Amp came in. Working in conjunction with a few other non-profits, Astorino’s has become a shared space for community events including all-ages shows. According to Ramsay, that’s not all. Unfortunately, the arrangement at Astorino’s isn’t permanent. The lease is for one year. “We discussed that issue and our membership voted to go ahead with the space. It’s basically an experiment and a chance to prove to the city that we know what we’re doing. Hopefully if or when this space is no longer available we will have set some kind of precedent to find our ideal, permanent space. In the meantime, Astorino’s will be great for shows. The few we’ve put on so far have been well attended, and by a lot of kids.” says Ramsay. Their enthusiasm about the space is not surprising: it suits their needs in almost every way. The F.A.Q. area of Safe Amp’s website states they are seeking a place that is zoned for live music, would not violate noise control bylaws, is located “probably east of Cambie, west of Renfrew, and north of about King Edward,” is accessible by bike and transit routes, and has a capacity of between 80 and 200 people. Astorino’s, with its prime location on the Drive, isolation from residential housing, and capacity of about 300, seems almost too good to be true. Luckily for Vancouver, SASStorino’s is as real as it gets.